Google today updated its popular Google Translate App today to support Hindi and Thai handwriting input. Remember Google had updated the Google Translate App to support Hindi and 5 other Indian languages like Bengali, Urdu, Tamil, Gujarati and Telugu in the last week of March. You can read that article here. Google has yesterday bumped up the version from 2.6 and now will support handwriting input directly from Hindi and Thai. The update has also brought to the table additional languages support for camera input. 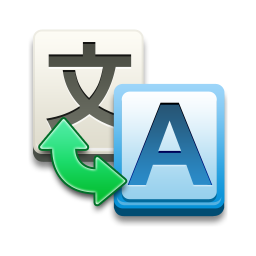 Greek and Afrikaans have been added to take the total camera input languages support to 34. Whereas the total number of languages available for handwriting support on Google Translate will now be 48 languages. Camera input means you can click the image of the languages supported by Google Translate and it will give you results in your choice language. For e.g. if you are in China and see a Chinese language signboard which you do not understand, simply open Google Translate and click the image of the signboard within the App and you will get the result in English or your language. To download the latest version of Google App for your Android phone please click on Google Play and get it.